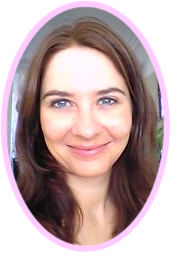 Hi, I’m Dominique Kersten, writer and illustrator of the books and the owner of ‘Special Powers’ ;-). As an inventor and coach (amongst other things), I have been doing fundamental research for a number of years, to find out what we are like, what makes us ‘tick’. I am especially interested in how ‘what you feel in your body’ is related to ‘what you think or what emotions you might have’. During this research, I discovered things that are really nice to know while you are growing up! That’s why I started writing original children’s books that are informative in a fun way! In a story I offer you a fresh approach to a subject, an original way to look at a situation. This can spark your imagination and your very own way of thinking about things. You can talk about it amongst each other, so you can get insights in a fun way, that help you in your development. The best thing about this is…. that this way you get to practice your ‘Special Powers’!! Life-skills, so to say. I wish you a lot of fun reading and talking on about the books! !